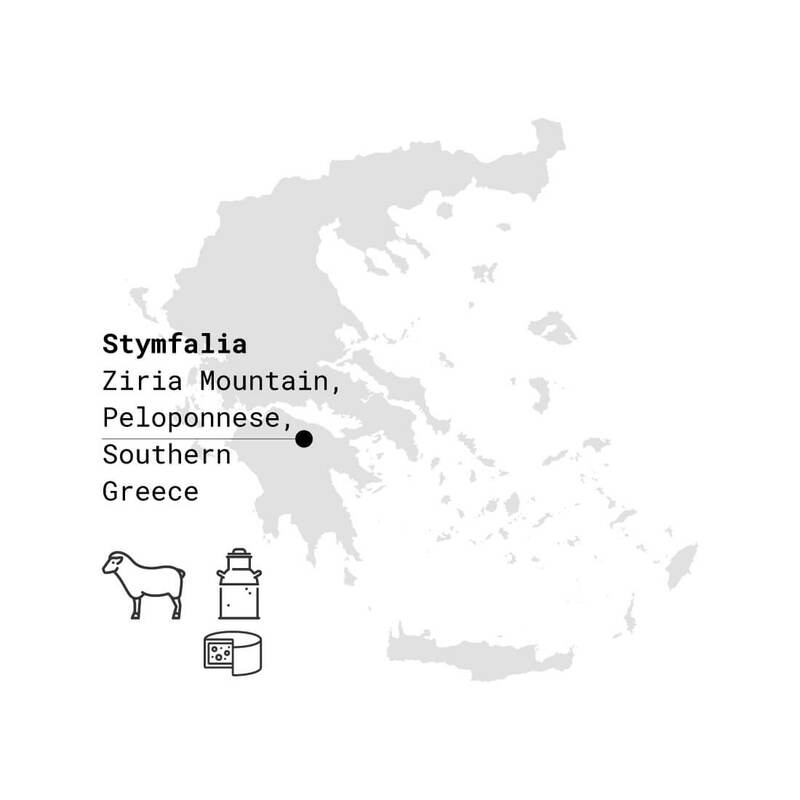 Produced in Stymfalia Greece, This style of feta is of the “barrel aged” variety, a traditionally crafted cheese, where the cheese is instead of being aged in metal for 30‐-60 days, is aged in handcrafted beechwood barrels, for 4-‐6 months. The process is more labor and time intensive than regular Greek feta, but the result is a delicious, complex, creamy flavor. Packed in the brine, with a porthole in the lid, so the consumer sees it’s in the brine for maximum flavor and shelf life! 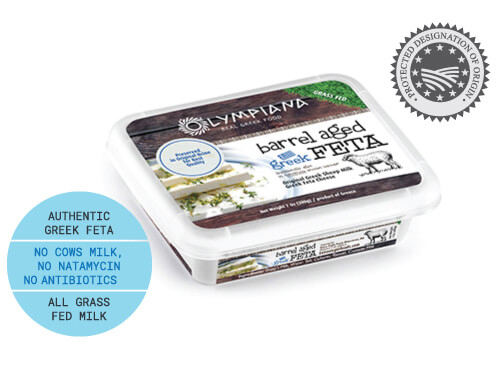 The only 7 oz in brine Greek barrel aged feta sold in the US. The tiny Stymfalia village produces true mountain cheese, its fairy tale like bucolic grassy terrain are ideal for cheese production.